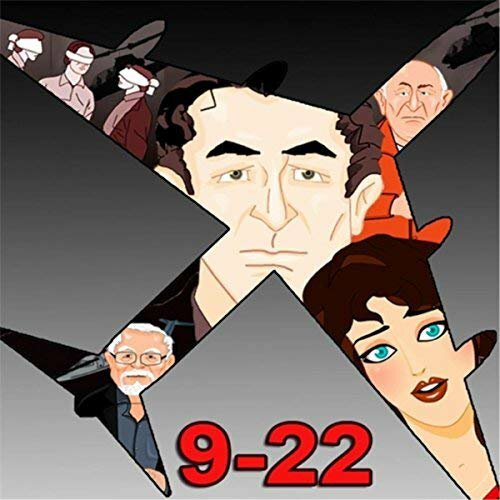 The film 9-22, is about a Washington, D.C.-based lawyer who ends up fighting for his life, as he struggles to investigate the untold, dark history of U.S.-Iran relations in the 1980s to save his client (an imprisoned former Navy Special Operations pilot). 9/22/1980 was the date Saddam Hussein invaded Iran and started the Iran-Iraq war. 9/22 was also the name of Saddam Hussein’s chemical warfare program’s code name. The film is written and directed by Bamdad Bahar and is expected to be released towards the end of the year. Highbrow Magazine Editor and Publisher Tara Taghizadeh interviewed Bahar about the film. Highbrow Magazine: How long did it take you to write/produce/direct the animation movie? Bamdad Bahar: Overall, perhaps 15 years. The project started originally with research I performed for my father (Dr. Jalil Bahar) who had a TV call-in show on Iranian Satellite TV – back in 2002. When I found out about the full scope of what had happened behind the scenes during the Tehran Hostage Crisis and later with the Iran-Contra Affair – and linked the dots – the story was incredible to me. I felt people should know about it. So, I wrote a screenplay, published a book of the screenplay, and tried to persuade all kinds of people in the film business, and even local theater to make the movie or put on a play about it. One thing led to another, and after a lot of rejections, I finally decided to do an animation movie on my own to get the story out. I should say that one of the music pieces for the movie was written in the 1980s and goes back to the time when the actual events took place. Tell us a bit about the politics of the film, and what message you wish to get across to viewers. On one dimension, it’s a historical piece and it’s designed to link the dots. Every day, we get daily news snap shots, but its very difficult to connect the dots and understand a story holistically. So, the movie tries to do that – in a dramatic interesting way. Its NOT a documentary, but it does attempt to bring disparate events together through the life of the protagonist. The message is very simple – to American voters – don’t think what happens thousands of miles away doesn’t affect what happens in the U.S.! These are NOT isolated incidents. This is about events that happened in Iran, that impacted democracy in the U.S. It’s about how politicians in the U.S. manipulated events in Iran to undermine democracy in the U.S. The tag line for the movie, is “Democracy Held Hostage”. Yes, U.S. embassy personnel were taken hostage. Yes, arms were sold clandestinely to Iran. But most interesting, of all, was that the hostage-taking was used to undermine Jimmy Carter politically by the Ronald Reagan campaign team; and the money from arms sales was used to bring in literally billions of dollars’ worth of crack cocaine from Central America into the U.S. for distribution into African-American neighborhoods – to in the end incarcerate millions of them – and get them off voter rolls (and transform America politically) – the “Reagan Revolution” and a power shift in Congress. What happened in Iran affected ordinary Americans in the U.S.
What misconceptions do you believe most Americans have about Iran and Iranian politics? That somehow Iranians are evil and hate America. The reality is that Iran and Iranians are being manipulated for domestic U.S. political consumption. Iran and Iranians are the victims here, and are being used to achieve domestic political goals. This is the fundamental concept. Tell us about the award the film won at the film festival in Amsterdam. We got into two film festivals. Getting nominated is the award! We attended the festival in Amsterdam to support the movie, and it was our first experience attending a festival. For us it was eye-opening, and we received a lot of great feedback. Made some good contacts and we felt encouraged about what we are doing. We pulled the movie out of distribution to make changes to it – after the festival. We learnt so much and we thought we could apply the feedback immediately. So the movie is now in post-production again. But should be distributed later this year. Who are the main members of your team who are involved in the filmmaking process? My primary collaborator is Shea Springer, who is a very talented and enlightened musician in Easton, Maryland. We work together and have set up a team of animators who work full-time for the studio, and they are based in India. 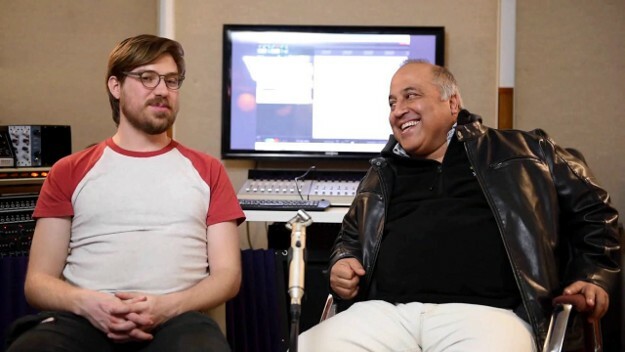 Then there is the audio team in the U.S., here in Easton (Maryland), which essentially includes Shea Springer and me – we work one or two nights a week on the audio content for the movies (this is music, voice, and sound effects). We have a film editor in Venezuela. For this movie, I wrote the script but had a team of script editors help me (eventually a group of maybe seven editors who worked on the script at different stages of production). I also wrote some of the music, collaborated with a lyrics writer on one of the tracks, and collaborated with Shea to write another featured song, and then Shea wrote one music track on his own. The music sort of evolved during production. 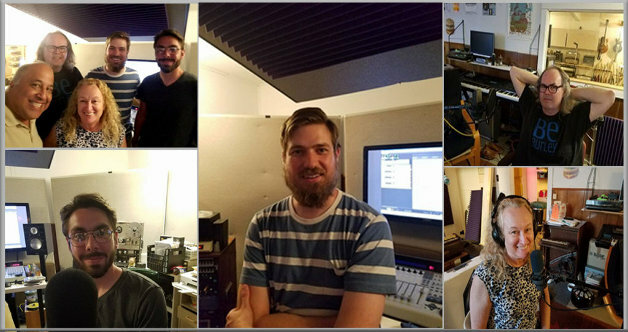 We have a team of voice actors for the parts – who come in and out of the projects. The voice actor teams do change from film to film. We also had a team of musicians who played on the tracks, much like the voice actors, the musicians come in and out of the projects. At any point in time, we might be working on three or four movies – each at different stages. One in post-production, another in animation, another in early writing and editing stage. We are a small studio. But we get a lot done for the resources we have. What other movies do you have in the works? There are like 10 active scripts in circulation at the studio. Our second release will be a movie called Persian Names – the story of an Iranian-American couple trying to pick a name for the new baby. An intercultural war. Our third release is a movie called Diana – Who Dun-it? – the story of Princess Diana’s final year on the planet and the mystery surrounding her death. Our fourth movie is called The i-Liver – the story behind of Steve Job’s Liver transplant. All four are at some stage in the production process. And then many scripts being edited behind them. I am currently working on a new script called The Painting, the story of the Trump campaign coverup of Russian interference in the U.S. elections. The general ‘focus’ of the studio is to explore stories involving drama between ‘East and West’. Our goal is to enlighten and help audiences develop a better understanding of other cultures and current events outside their normal interactions in their lives; i.e., broaden perspectives, provide enrichment, increase awareness. Tara Taghizadeh is the founding editor and publisher of Highbrow Magazine.